Minor Peewee AA - Silver Stick Champions! The Minor Peewee AA Team won their second tournament of the year by going undefeated at the Whitby Silver Stick. The boys battled hard in the final game to take the host team, Whitby Wildcats, to double overtime but eventually outworked their opponents to bury the game winner. Along with the title of Tournament Champions, the team gets the opportunity to represent Oakville at the International Silver Stick Tournament being held in Newmarket, ON in January. Minor Peewee AA WIN Mississauga Early Bird! The Minor Peewee AA Team went undefeated recently to Win the Mississauga Early Bird Tournament! The boys used the opportunity of their first games this season to gel together and grew stronger each game. Thank you to all participants who attended the first tryout today. I'm looking forward to seeing all aspiring Rangers and parents tomorrow for our first tryouts. 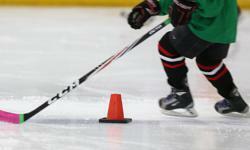 The first skate tomorrow for players with last names A-L runs from 10:55am to 12:05pm. The second skate for players with last names M-Z runs from 12:15 to 1:25pm. Both skates are at Sixteen Mile Creek, Rink 3. We will be using pinnies for the first tryouts so jersey colours do not matter. If your child has been invited back to the second and/or third tryouts, we will be sending out a list of white and blue teams so that we can have a scrimmage.